It’s a common misconception that your nose continues to grow as you get older. It’s just not true. It is true that as we age our nose can droop down or change shape. This is result of our good friend: gravity. As gravity exerts force on your nose it can pull it out of shape. If this causes the septum (the cartilage that divides your nose into two nostrils) to become crooked, it can be hard to breathe through your nose. Septum surgery (septoplasty) can correct this and restore easier nasal breathing. Our bodies were designed for air to enter primarily through our noses. The quality of the air that enters the body through the mouth is not the same quality of air that will enter the body through the nose. Your nose has hairs that serve to filter large particles. It also moisturizes the air coming in. Air that comes in through the nose passes through the nasal cavity where it is either warmed or cooled to be closer to the body’s temperature. In addition, nitric oxide is produced in the nasal sinuses, passed into the nasal passages where it is mixed with oxygen when you breathe through your nose. Air coming into your lungs does not have nitric oxide and the lungs are not able to absorb oxygen as well in its absence. Breathing through the nose is difficult if the septum is malformed at birth, damaged by injury or contorted by gravity. Septum surgery can correct this condition. Once the septum cartilage is trimmed, repositioned or replaced as necessary breathing will be much easier. This can lead to improved sleep, fewer infections, and less snoring. You may even feel more energetic as you breathe easier and your lungs get oxygen as it was meant to be delivered: through the nose. Septoplasty can be performed under a local anesthesia or a general anesthesia. The recovery is not lengthy and most discomfort will be during the first 48 hours. Right after surgery you will experience some pain that is easily controlled with medication and some congestion that is completely normal. Sleeping with your head elevated and wearing button down clothing (instead of clothing that must be pulled over the head) will make the recovery much easier. If you chronically breathe through the mouth, have mild sleep apnea, or dry or bleeding nasal passages a simple septum surgery may bring relief. Call the ENT and make an appointment to discuss your condition. 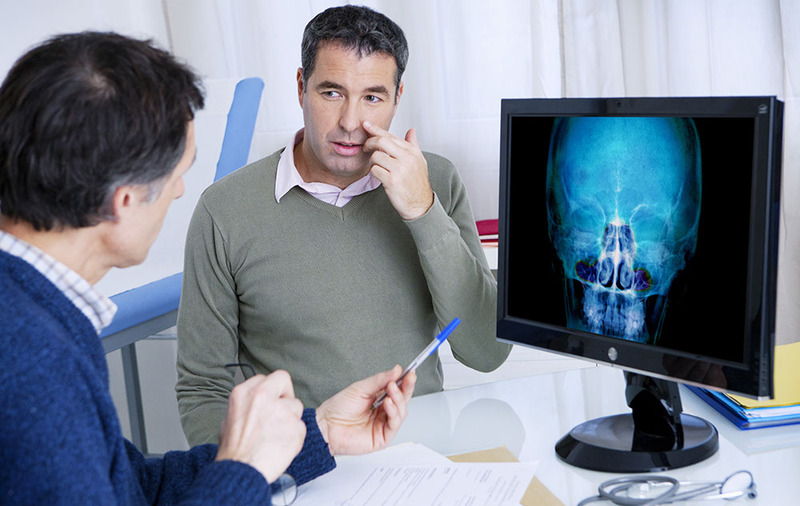 The ENT will take your medical history, perform a physical examination of your nose and may order additional tests. Don’t be a mouth breather. Call the ENT today.